Improving workplace wellbeing and maximising performance through an evidence-based approach and programme is the objective of the book, which arguably can yield benefits to both the employer and the employed. 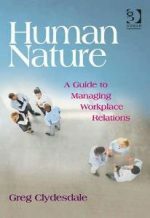 The author takes many strands from human resources management, neuroscience and behavioural science to present this book, aimed at human resources staff, with a practical guide that can help lead and change the general tone and feeling of a workplace. It does not advocate a big-bang change with all the risk and trauma that can follow, instead preferring a gradual change programme that allows for greater flexibility, buy-in and less resistance from the fear of the “unknown”. Case studies featuring companies that have implemented and developed such change are also provided that can provide additional validity. It is quite possible that this book could be a powerful, attractive read to a wider audience, especially the more switched-on and enlightened senior executive, even if some of the detail might be a little more esoteric or unfamiliar. For those who focus on workplace and employment issues it is a very capable, interesting read that should be actively considered. Unfortunately, the book is written in a fairly academic style and that might be a little too intimidating or a bit of a turn-off to the casual reader, which is a shame. There is nothing wrong with writing for an academic audience, of course, with the accompanying mass of references and footnotes, but this book was just on the wrong side of the fine line between the two reading styles. Yet, it delivers a mass of quality, actionable information to enable consideration, evaluation and eventual implementation. It can be a recommended read.